Hexchex are available in 4 sizes. The Multi Size design allows each product to fit a range of nuts, covering 19mm to 50mm in both metric and imperial. Hexchex can be applied to any shaped nut... round edged, sharp edged, worn, new, undersized, oversized, custom nuts including 8 or 10 sided. 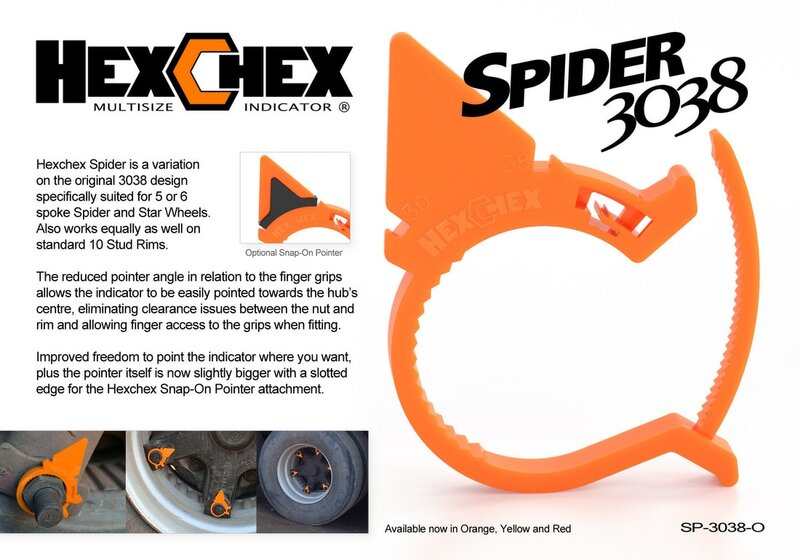 Hexchex can literally be clamped around anything within the diameter range for each product. Use wisely. Hexchex are made of durable custom engineered polymer with high dimensional stability, chemical resistance, UV and thermal properties. Australia's extreme conditions means Hexchex is exposed to high temperatures. Our material has been designed to perform over 150°C so they will not melt prematurely under heavy breaking conditions. They will melt if the hub overheats, alerting you to potential hub problems. When Hexchex melt, the non stick material is removed easily without damaging your wheels. Hexchex are designed to be easy to use. The flexible material takes minimal effort to apply by hand. No tools needed. The progressive action allows you to feel each click so you know it's secure. ​We also do custom corporate colours ...contact us! IMPORTANT - Hexchex® only assist routine safety inspections and DO NOT replace proper maintenance. We take no responsibility for incorrect use or any failure as a result of poor wheel maintenance.